In the world of smartphones, we’re becoming more and more used to Chinese technology companies competing with popular global brands, but we also know that the pendulum doesn’t necessarily swing both ways. The Chinese government’s “Great Firewall” has kept many Western tech powerhouses out of the country, and enabled the careful curation of approved local services. Combined with financial and regulatory backing for home-grown brands, China has a booming tech industry to call its own. While we’re all familiar with many of California’s biggest tech companies, it’s Shenzhen that’s has earned itself the reputation as the Silicon Valley of China, as it’s home to a number of the country’s multinational tech companies, including Tencent, ZTE, Huawei, and others. Although a number of China’s other large tech companies have their headquarters based in Beijing too, as you might expect. Even though these companies are just as huge, if not sometimes bigger than their US counterparts in their home country, many of them are virtually unknown outside of China. So here’s how some of China’s biggest tech companies stack up against the big names in Silicon Valley. Facebook is certainly the biggest name in social media and one of the largest companies in Silicon Valley. It’s not only known for its home brand apps and services, but the company has also bought out Instagram and WhatsApp for obscene amounts of money, giving the company reach in the SMS and photo sharing games too. Tencent is China’s biggest tech company, by market cap, and WeChat offers a variety of social media services that rival Facebook's acquisitions. Tencent Holding’s WeChat is probably the closest equivalent service in China, offering up Moments (social feed and friends updates), Messaging (text, one-to-many calls, video calls, and media sharing), and News Feed, among others, all in a single platform. WeChat is also now the biggest player in China’s mobile payments industry. Customers can pay bills, transfer money to other users, and make payments in store using the WeChat payment option. This year, WeChat claimed 600 million mobile payment users, while its closest rival Alipay from Alibaba caters to 450 million users in the country. WeChat was started in January 2011 and has accumulated 938 million active users at the last count, 90 percent of which are based in China. By comparison, WhatsApp and Facebook Messenger have some 1.2 billion users, Instagram has 700 million, and Twitter just 328 million users around the globe. The main Facebook app is still the largest at over 2 billion active users, but WeChat is still a noteworthy player in the social game. Tencent Holdings, the company that owns WeChat, also has interests in a variety of other markets, some of which crossover with Facebook. The company is set to launch a virtual reality headset this year (Facebook owns Oculus) and is also in the music distribution, video streaming, and online gaming businesses. In fact, Tencent is China’s biggest tech company, by market cap. Huawei is now a well known brand on the international market, but it’s also the biggest brand smartphone brand in China, followed closely behind by Oppo and Vivo. Still, Huawei is the only one with a major global market share, with the company holding a consistent third place position not too far behind Apple. In the first quarter of 2017, Huawei sold 34.6 million smartphones around the world, claiming a 10 percent global market share. For comparison, Apple sold 50.7 million units over the same period, the equivalent of a 14.7% market share. Samsung is still out in front, but these two form a definitive second and third place far ahead of the rest of the pack. The comparison to the US’ Apple don’t stop at raw numbers though, both companies also share a similar approach to product design, bringing many of the most important components in-house. Apple has it’s A series of processors and Huawei has its Kirin range, complete with a number of its own in-house optimizations and proprietary bits of technology. 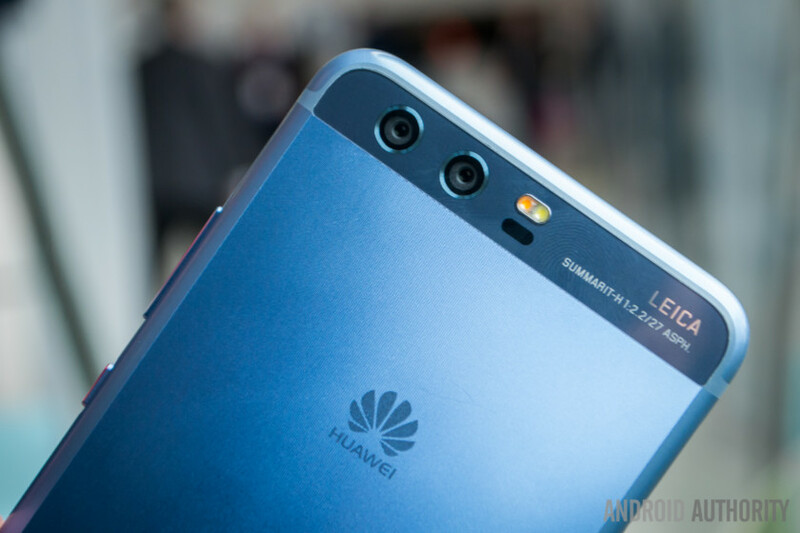 Both companies have also developed their own dual camera lens hardware, with Huawei partnering with industry renowned brand Leica to boost its research along. Not forgetting Huawei’s Super Charge technology too. This is a level of development and attention to detail that few other smartphone OEMs can achieve. Few smartphone companies develop as much in-house mobile tech as Apple and Huawei. Of course, Apple specializes in just a small number of models, while Huawei’s yearly range caters to a much wider selection of price points. Still, with Huawei now looking to make inroads in the US, China’s biggest smartphone brand might soon be bringing the fight to Apple on its home turf. Google may be the world’s search engine, but Baidu is China’s. With Google essentially locked out of the Chinese market, local providers have stepped in to fill the void, and by far the largest player is Baidu. Perhaps somewhat surprisingly, Google isn’t much older than Baidu, with the former starting in September 1998 while Baidu began in January 2000. So there’s a little over a year between them. Baidu is estimated to pull in around 80 percent of all of China’s internet search traffic, while Google commands just 10 percent in the same region. This isn’t too far behind Google’s 90 percent share of global search queries, as the two appear pretty much inversed just across the Firewall. Of course, Google superior global penetration means that it makes more money, just under $90 billion in 2016. Baidu made just over $10 billion over the same period, but that’s not bad for a company that’s popular just in one country. Between AI, automotive, and media, Baidu's long term plans appears rather similar to Google's. Like Google, Baidu isn’t just limited to search queries any more though. The company has its own music service called Baidu Music with more than 150 million monthly active users, which is more than Play Music pulls in. The company is also working on its own self-driving car software and is investing heavily in artificial intelligence research. The company also offers cloud storage, maps, and translation services. That’s Baidu by the way, not just Google. Amazon is a huge name in the US and not just for shopping. The company has rapidly expanded into the media streaming, smart home, and even now the supermarket industries. However, did you know that Alibaba is actually a larger retailer? The Alibaba Group was the largest retailer in the world in 2016, and actually sells more merchandize than both Amazon and eBay combined. We’ve already mention that Alibaba is a big name in China’s mobile payment race too with its AliPay service. Unlike Amazon, Alibaba’s retail channels are split into a number of sub-companies. There’s Tmall which is China’s biggest consumer retail site, Taobao that is more likely eBay, and of course Alibaba.com for business-to-business trading. The company shares some other similarities to Amazon though. Alibaba has been moving into the music streaming market with Alibaba Planet and Xiami, and it’s aquisition of the Youku Tudou TV video service in 2015 gives it a stake in video too. Alibaba also runs its own app store and has a forked version of Android. Remember that the Google Play Store is blocked in China. The Aliyun App Store runs on the company’s YunOS, which powers phone, TV, smartwatch, and automotive products, and is actually now the second largest smartphone OS in China, ahead of iOS. Alibaba also has its own cloud platform called Aliyun, which is pretty much the equivalent to Amazon’s Web Services. Furthermore, the company has stakes in Sina Weibo, promotes its own alternative to WeChat called LaiWang, and acquired Kanbox which is similar to Dropbox, along with backing a number of other Chinese tech ventures. Alibaba is simply huge, bigger than Amazon huge. We couldn’t talk about modern tech companies without mentioning start-up companies, and one of the biggest success stories of recent years is Uber, despite its controversies. Well you guessed it, China has its own version of Uber too – called Didi Chuxing. Both companies are “ride sharing” applications, which put app users in contact with local cab drivers. While Uber runs its own service, Didi actually partnered with other firms Grab, Lyft, 99, and Ola, allowing users to book any of the companies on each others’ networks. However, Dixi Chuxing actually acquired Uber China for $35 billion in August 2016 following a cutthroat price war, giving it the technology to more closely compete with Uber’s business model. In terms of numbers, Didi Chuxing operates in 400 cities across China, makes an estimated 20 million rides per day, and passed 1.4 million rides back in 2015. Uber, by comparison, only passed its 1 billion ride mark in 2015, it now boasts over 5.5 million rides per day, and operators in 633 cities around the world. Didi was most recently valued at US$28 billion, so is still someway off Uber’s almost $70 billion valuation. But still, that’s not bad for a company that only operates in a single country, versus a worldwide competitor. Speaking of which, the two are now fighting to gain market share in the Middle East, with Didi Chuxing backing Uber rival Careem in the region. Despite the Great Firewall, China’s tech market has grown to accommodate a wide range of competitive tech companies and services that cater to the needs of local consumers. The state’s censorship and surveillance certainly isn’t great, but it doesn’t appear to have hindered growth. As China’s tech companies increasingly look outward in pursuit of bigger profits, we’re sure to hear more about many of these companies in the future and will likely see many of them go head-to-head with more familiar Western brands.